I won’t spoil the end of The Jinx here—if by some chance you haven’t already read reports of the much lauded HBO documentary series—but I think it’s safe to say that the finale provided the seemingly “definitive” conclusion we all pined for in Serial. The last episode plays more like a suspense thriller than an open-ended study of the American justice system. The Jinx possesses a clear beginning, middle, and, most importantly, powerful resolution. Not that an open-ended plot can’t have a “conclusion,” but there’s a certain amount of satisfaction attached to having all the answers handed to you before the credits roll (though “all” is certainly up for debate here). The Jinx offers us a chance to revel in this primitive longing for closure. It sweeps us away in the euphoria of a microscopic eschaton—feelings that are at once ancient, universal, and, I believe, quite spiritual. Even as The Jinx explores the nature of truth, it also revels in the satisfaction that comes when the unknowable suddenly bursts into the present.The full title for Andrew Jarecki’s six-episode series is The Jinx: The Life and Deaths of Robert Durst. Deaths in the plural, of course, referring not to Durst, but to individuals near Durst. You see, millionaire Robert Durst is either a psychotic madman or the biggest jinx the world has ever known. The son of a wealthy real estate tycoon, Durst’s life is shrouded in mystery. His wife, best friend, and next-door neighbor have all either gone missing or turned up dead—the neighbor’s body found cut up and floating in the Gulf of Mexico. 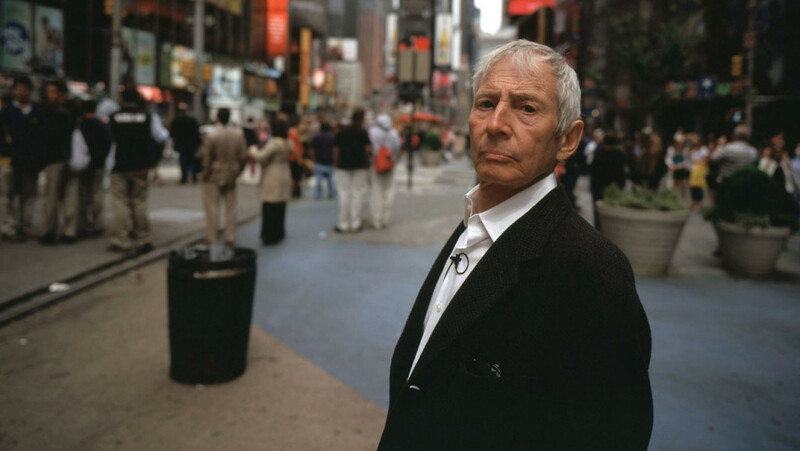 With unprecedented access to Durst, Jarecki slowly investigates the mystery, probing each scenario to answer the decades-old question: “Does Robert Durst deserve to be locked up?” The first few episodes of The Jinx serve as infotainment of sorts to Durst’s depravity (or bad luck). Just when the audience is led to believe the situation couldn’t get any more mangled, the plot adds a “But wait, there’s more!” line to the narrative. Halfway through, viewers will likely find themselves in one of two categories: Durst is either a remorseless killer or simply some sort of harmless anti-rabbit’s foot.